A few years ago a friend of mine was pet-sitting a Shih Tzu Yorkie mix (Shorkie) and, knowing that I love dogs, she brought him to see me. I instantly fell in love with this adorable ball of soft fur! He was one of the cutest dogs I had ever met, and it was hard to say goodbye to him after our time together. Shorkies are known to be great companions. They are small, affectionate and playful. Keep reading to find out more about this lovable breed. 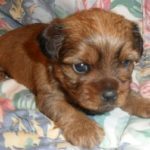 What is the Temperament of a Shorkie? 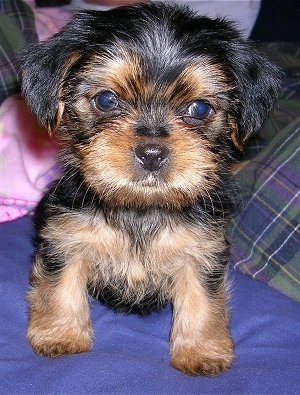 What do Shih Tzu Yorkies look like? 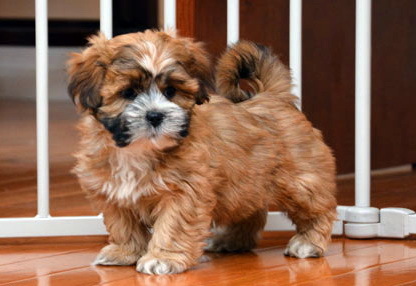 What Care is Required for a Shorkie? 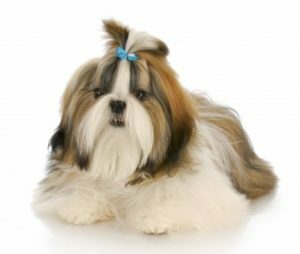 Are Shih Tzu Yorkies Easy to Train? 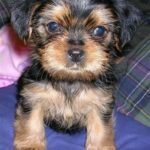 Do Shorkies have any Health Risks? Your Shih Tzu Yorkie will be loving, loyal, playful, and intelligent. He will want to be with you constantly and will cuddle up in your lap at every chance he can. 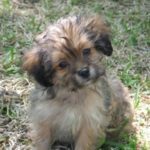 Early socialization is important for your Shorkie; he will get along with other animals and children as long as he is exposed to them at a young age. 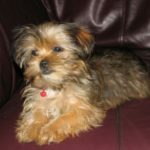 Shorkie can become very attached to humans and can experience separation anxiety if left alone for an extended period of time. It is best not to leave him alone for more than a few hours at a time. 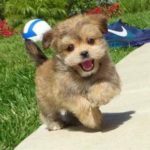 Get your cuteness for the day by checking out this video of a Shorkie puppy and a baby having a conversation! 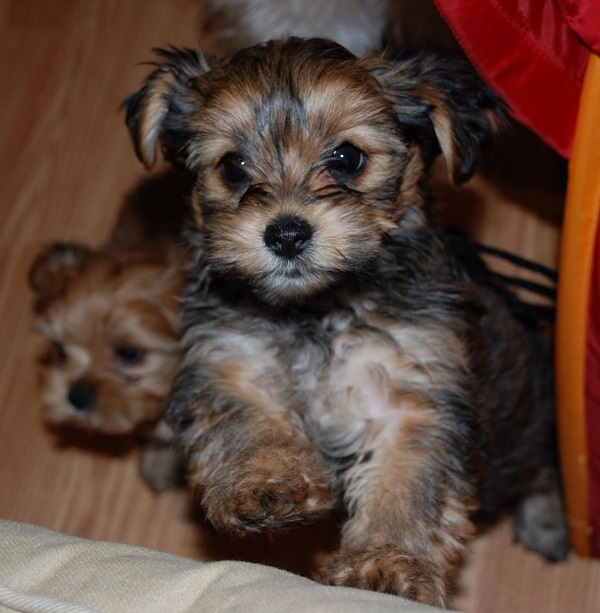 Not to be confused with the Snorkie, Shorkies are small dogs with a medium length coat. Their legs and bodies are short, and they have floppy ears. They have shiny, silky hair and do not shed. 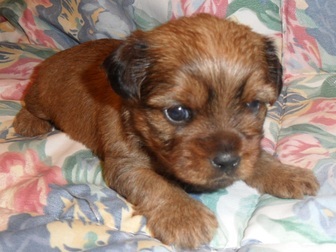 Shorkie can come in various colors including black, white, chocolate, tan, red or any combo of these. 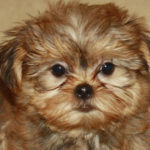 Your full grown Shorkie will be 7 to 15lbs in weight, and 6 to 14 inches in height. 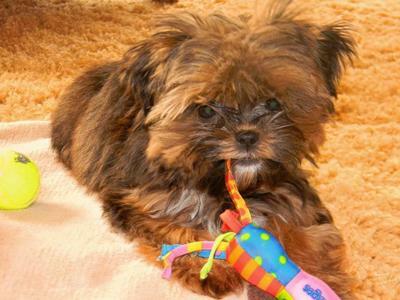 Due to their small size, Shorkies can easily live in apartments and a yard is not necessary. They require little exercise; 20 minutes of activity per day is enough for this breed. 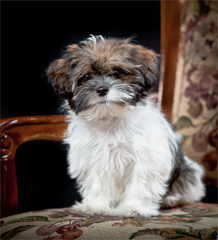 Shih Tzu Yorkie mixes are sensitive to weather and will need to wear a sweater in cold temperatures. They also need to be brushed daily, and trim their coat every six weeks. They should be bathed once every two weeks. 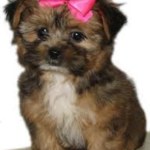 Shorkies are intelligent dogs and therefore are relatively easy to train. They do have a short attention span and can be stubborn, so you need to be patient with them. Keep training sessions short, and ensure that you remain upbeat and calm. 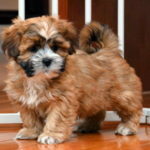 Shorkie mixes adapt quickly, and are well behaved. Your companion wants to please you and will work hard to do so. He will respond well to praise and treats during training. 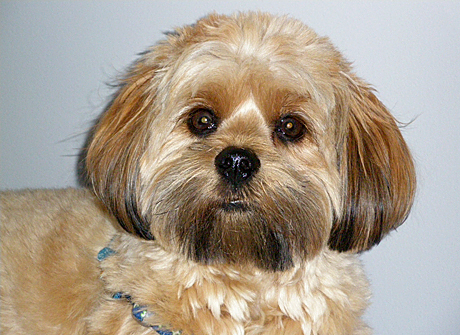 It is also important to ensure that when training your Shorkie, you focus on one command at a time. Once he has mastered that command, you can move on. 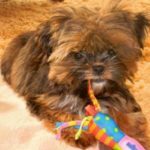 As with any designer breed, Shorkies are at risk of developing any health conditions that are common for their parent breeds, Shih Tzus and Yorkies. 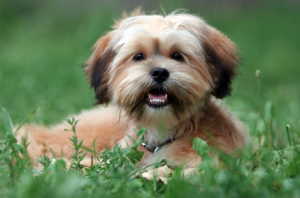 Luckily, your Shorkie is a healthy breed with a life span of 12 to 15 years. 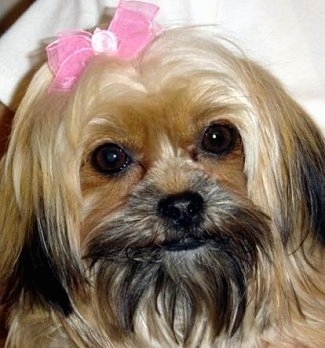 The initial cost of your Shih Tzu Yorkie mix will range from $375 to $1750. 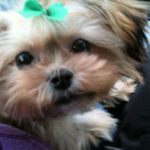 Shorkie’s yearly medical needs will cost $435 to $535; this includes check-ups, shots, flea prevention, and insurance. 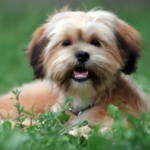 Other yearly costs, such as food, toys, treats, training and grooming a Shorkie, will range from $530 to $630. 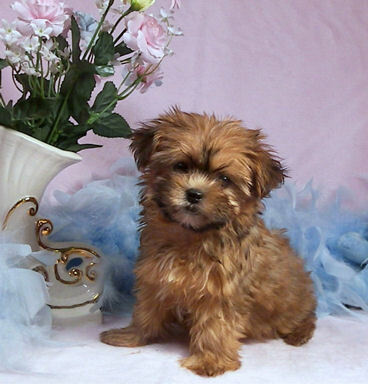 Shorkies are sweet, loyal, affectionate and playful dogs. They are intelligent, easy to train, and have minimal health risks. They are also incredibly cute! They are good with children and would be a great companion dog for a family, a single person or older people. Inviting this adorable breed into your home will bring you years of joy, friendship, and love. 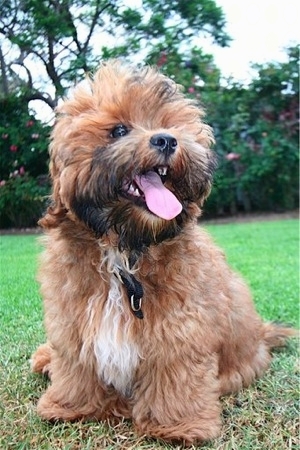 Your Shih Tzu Yorkie mix will follow you around, play fetch, and settle into your lap for cuddles at the end of the day. 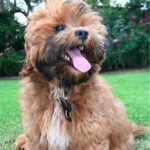 Please comment below and let us know if you have any questions, or share a story about your Shorkie! 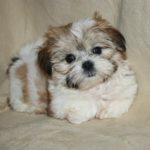 i just purchased a beautiful female Shorkie . She is 15 weeks old. I am concerned as all she wants to do is bite. i realize shes teething but how do i break her of biting us? Plenty of toys which she will probably shred…toss them and get some more. There are also Bully Sticks (NOTE FROM EDITOR: Purchase from Amazon here) which she’ll probably love. Have plenty on hand. Not for constant feeding, just lets her gnaw on something. Mine devoured hers in 2 hours. It was small, but she loved it. Just watch and as it gets too small take it from her and toss it. Don’t want your baby to choke. 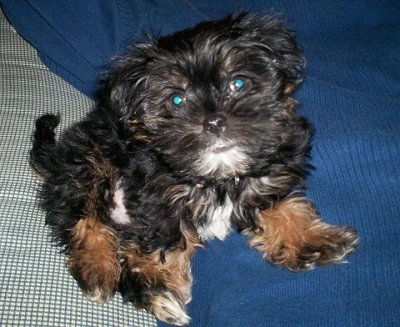 My Shorkie is 5 and still loves to play with her toys and runs around the house with them squeaking them. If that irritates you, just use a pin to poke a hole in the plastic squeeker. Shorkies love to chew. My four-year-old gizmo still puts my fingers in his mouth. It’s more of a love Chew then it is a bite and he never break the skin. My Shorkie is so smart he will put my fingers in his mouth and put them where he wants me to pet him! It is the cutest and funniest thing ever. My 7 month old Shorkie loves to chew also. She is gentle when it is our fingers now as we spent time telling her “no” when the bites were a little too hard. 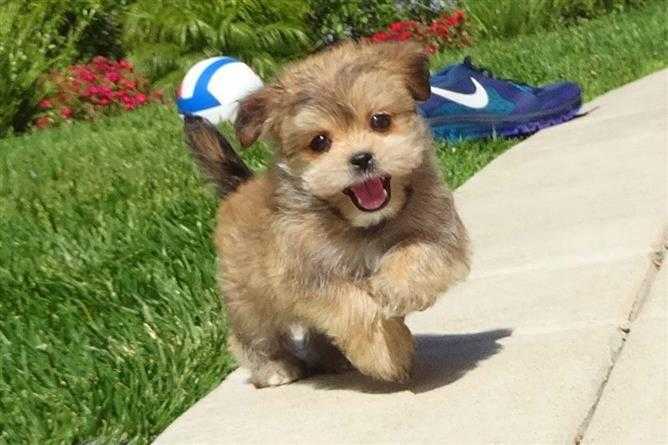 Where can I find a shorkie? 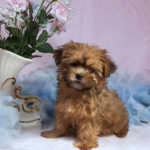 I just adopted a female shorkie named Lolly, who is 21 weeks old. She is a wonderful addition to our family. My Husband and I have fallen in love with our little furbaby, and will spend our time spoiling her rotten. Do they get along well with other dogs? We have a 3 year old happy pug at home. 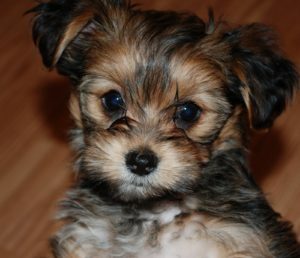 I’ve had my shorkie for 5 weeks since she was 9wks. I started introducing her to family members pets, dogs and cats, immediately. She continues to be cautious around large dogs but adjusts quickly around my nephews Golden once she feels safe. She now loves meeting new playmates and does well with cats if the cats are okay with dogs. Since these puppies are full of energy and think everything is there for them to play with, be mindful of the pet friends you introduce your pup to. Our 16 yr old cat grew up with our 3 dogs (all now gone) and tolerates the pup but doesn’t want that much energy around her now. The pup has learned this but continues to run up to the cat to play when the cat hits floor. Pup will quickly back off once she receives a quick hiss to say “go away” from the old lady. Then pup loses interest and wags off in another direction. Early exposure will ensure a happy, healthy, socially adjusted dog. I have a shorkie that is 5 months old now, and her best friend is my pit bull who is 6 yrs old and around 60, she live playing with him and cuddling with him! We have a 6 year old Shorkie, an 11 year old Cockerpoo ands 4 year old border collie mixed rescue who we got at 8 months. The Shorkie gets along with both dogs. She thinks she’s a big dog. She knows to back away when my Border Collie mix plays to rough, other than that she is the aggressor in a playful manner. 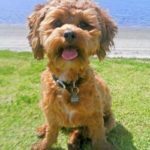 The older cockerpoo doesn’t get involved in the play. 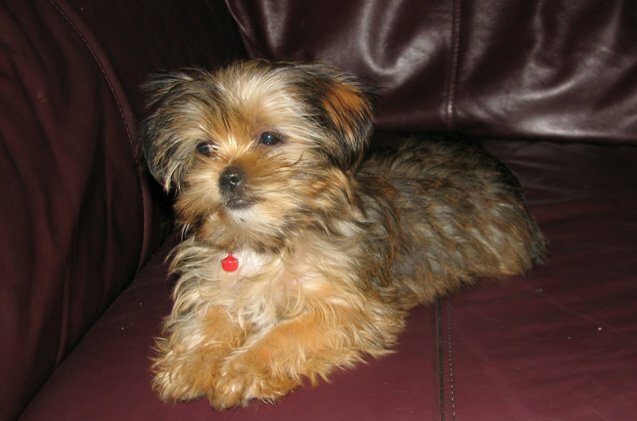 Our adorable female shorkie is now 3 years old. She is very energetic and active. We have a large yard which she races around multiple times a day. She also LOVES to chew on anything/everything. She was difficult to train but is now pretty well trained (when she isn’t being stubborn). 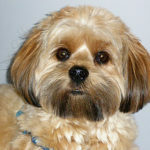 We have a shorkie and he is 14 months old and has started scratching himself like he is itching . He rubs his face on everything trying to scratch it . We have a five year old. He rubs his face on everything all the time lol. He especially liked to run his face along the couch, it’s his way of saying “I want some attention!”. But do check & make sure he doesn’t have any of the hair from his snout poking up, into his eye & that his eye area is well trimmed. 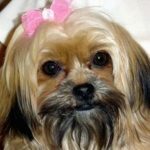 Just some thoughts; could be allergies – check food ingredients, my shorkie is now on grain free which has reduced a lot of itching problems. Also, stay away from oatmeal shampoos (too drying on skin) and use a good conditioner. I rescued a 1year old Shorkie and it was the best decision I’ve made in a while. He is smart and responded very well to training, earning the cgc certification. He is very social and loves almost every person and animal he meets. He loves car rides, walks and play sessions at the dog park. He even loves his kitty sister. He seldom barks and being a non-shedding breed is a plus. I’ve had several different dog breeds over the years, but this one is by far the best. 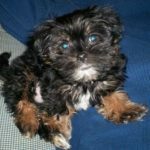 We had our Shorkie, Scooter, for 16 yrs. Just said our goodbyes in June 2017, absolutely broke our hearts. She was the best dog I’ve ever owned. Smart as a whip, obedient, loving not only to my husband and I, but everyone she met. She couldn’t possibly have been a better companion And we miss her terribly. Enjoy your fur babies, you chose a great breed! 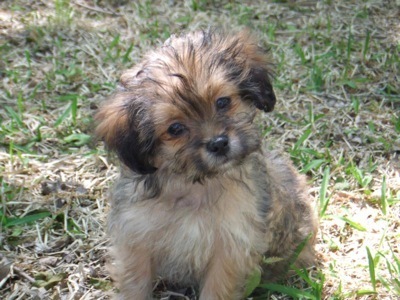 My wife & I were given a young female Shorkie which is the best dog we have ever had. She is very affectionate and loves to cuddle on the couch. 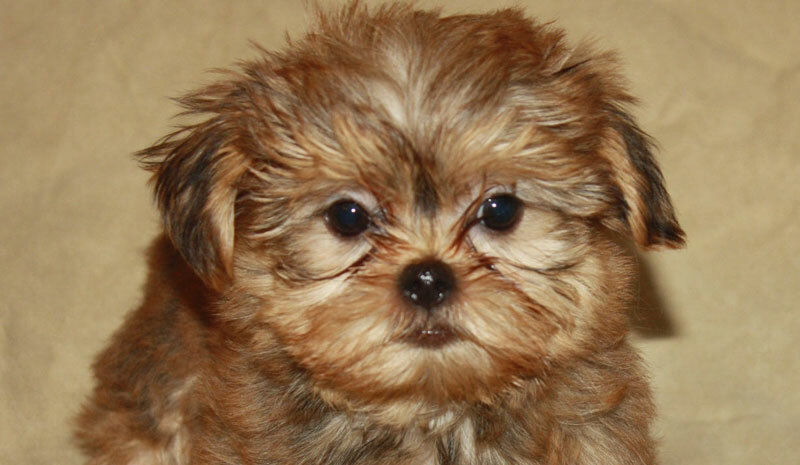 If you ever want a great dog we suggest a Shorkie. I work for a Vet and a lady came in with two adorable puppies. It was LOVE AT FIRST SIGHT…I took one into my arms, to love on her, and the lady says that I could have her, she needs a good home. 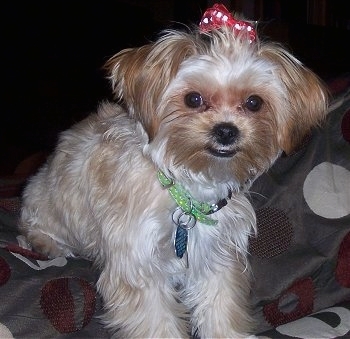 She explained that her toy Yorkie had gotten pregnant by the neighbor’s toy Shih Tzu and she didn’t want any puppies. My shorkie, Sammy is 10 years old. I was raised with cats all of my life, so Sammy is my first dog. He is amazing! Super intelligent, great with kids, cats and other dogs, loving, doesn’t shed, and barking only happens when someone knocks at the door or he needs something. I cannot say enough about this breed! I’ve had same problem with my Nugget. He scratches in some spots like behind his front legs until raw. and around his neck I will trim fur and rub in neosporin. Vet has given me allergy pills, I’ve given him children’s benydryl, he continues to scratch. Not as much, but still does. Tea tree oil baths have also helped. We just adopted a 7 year old Shorkie. He is such a sweetheart , craves attention 24/7 and gets it. He loves to play and snuggle. we were told he doesn’t like other dogs but we haven’t tested that yet. Love him already since we just lost our 2 pompoos. My Sparky is now 6 years old and the sweetest dog I’ve ever seen. He is smart, loving, and obedient. He loves to take walks. We walk him twice daily. He does love to chew, but has learned the difference between his toys and telephone cords. When we talk to him he listens so intently to make sure he knows what’s going on. Nosy! 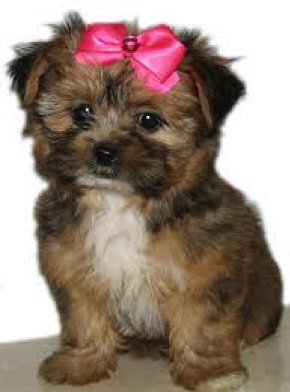 Shorkies are truly smart and lovable dogs. We’re thinking about getting another one. 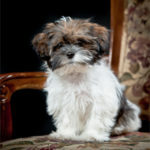 I have the sweetest shorkie.Izzy is now 4 months old and getting smarter by the minute.I think they are awesome dogs and highly recommend getting one. Our Shorky is now 10 years old. We leave him with friends when we go on vacation and as of lately he is acting really strange at night. He does not sleep and just wants our attention and when he gets it, he still wont go to sleep. He is usually fine in the day but he is getting worse. The Vet has given us a few medications to take and nothing physically is wrong with him through his blood works test. Any help we can get would be appreciated as its breaking our hearts to see him suffer every night. I have a 12 year old Shorkie named Mia. She is a trained Therapy Dog and just loves everyone. We dog/cat sit and Mia is very social. She gets along well with cats & dogs. I’ve had dogs all my life but Mia is the smartest and sweetest dog I’ve ever had. She’s a great guard dog with excellent hearing. She still loves to play. I love Mia. We just got our 11 week old Shorkie (Teddy) from a shelter of all places!! For way less than he should have apparently. He is the best puppy we have ever had. He is so smart and loving. We have a 14 year old cat that is tolerating him, he just wants to jump on her and play. But she’s and old lady with cancer and isn’t having it. He gets along great with all dogs and children. He pretty much thinks everyone is his friend and just can’t wait to show them love. He has slept through the night since the night we brought him home at 9 weeks and he will wake my husband up if he absolutely can’t hold it. He is almost fully housebroken during the day and does well at home alone. We do have a small bathroom with a baby gate that he uses instead of a kennel, but that is just what works for him. He starts puppy school tomorrow but we have started getting him to sit with treats already. He hates leashes, collars harnesses and clothing of any sort, which is going to be an issue with our Colorado winter coming. Hoping classes help with that. He is a chewer/biter for sure! That is our biggest issue as his baby teeth are super sharp. We got him edible teething bones which he loves! That keeps him occupied for quite awhile. He uses his toys but just loves hands and fingers and toes and ears and noses, pretty much any appendage. Lol! He is so seeet and so cute. We are super blessed! 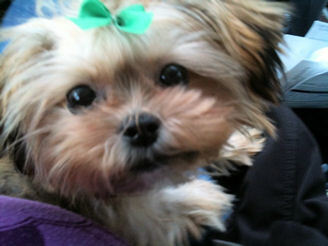 Our little Princess Payton is the sweetest dog either of us have ever had! She loves kids, dogs, cats & is completely attached to us. We take her everywhere with us, including on Vacations.